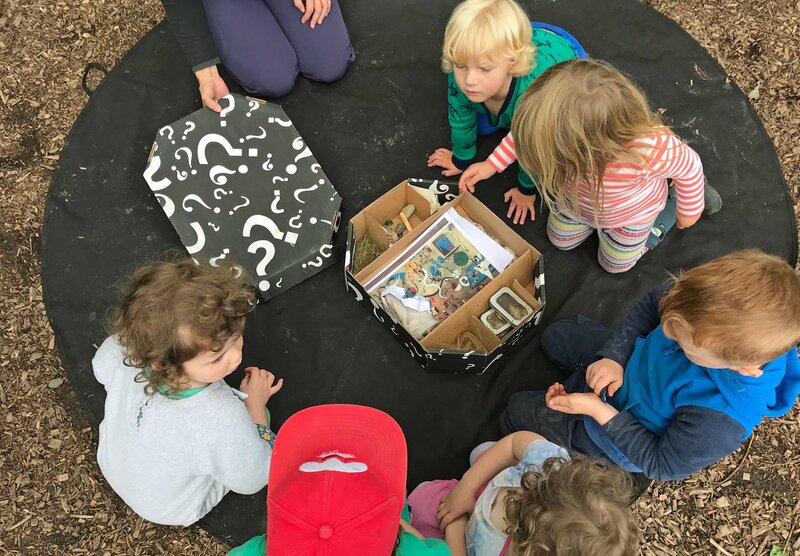 Three online encounters have been developed by Early Childhood Australia (ECA) and Reggio Emilia Australia Information Exchange (REAIE) with the aim of increasing access to information about Reggio Emilia and Australian interpretations of the Reggio Emilia Approach to Education. It is suited to early childhood educators working with children aged birth to eight years old in Australia and abroad. Start Early supports educators to explore how everyday behaviours and attitudes shape a child's lifelong relationships. The three Start Early modules look at developing Respectful Relations, explore issues around Gender, Respect and Identity, and encourage Father Inclusive Practice. The ECA Leadership Program is a self-directed leadership course, uniquely designed for Australian early childhood educators. It has been developed by Early Childhood Australia in consultation with sector leaders over several years. Developed by Early Childhood Australia (ECA) and Murdoch Children's Research Institute (MCRI), this comprehensive and highly practical online professional learning package examines the importance of sleep to the overall health, wellbeing, learning and development of infants and children in line with the introduction of safe sleep and rest practices (ACECQA, 2017). This course has been designed to provide employees with an understanding about bullying and harassment in the workplace, the type of behaviour that should be avoided and what employees can do if bullying or harassment is occurring in their workplace. This course has been designed to provide managers and supervisors with an understanding about workplace bullying and harassment, and what they can do to prevent and manage bullying and harassment in their workplace. This course has been written in line with harmonised Work Health and Safety legislation in Australia. This module has been developed to help educators create a useful, accurate Quality Improvement Plan (QIP) - one that assesses current performance, recognises strengths and prepares for improvement. This module has been developed to provide an understanding of how documenting and assessing children's learning helps educators gain a deeper understanding of children's interests, strengths and abilities, and how educators use this knowledge to support and extend children's learning. This course has been developed as an extension of Documenting and Assessing Children's Learning (Part I). In Part II we further explore, why we document and assess children's learning and discover more about using the Planning Cycle. We will also take a look at practical approaches to documenting and assessing children's learning. This course has been designed to provide you with an overview and understanding of work health and safety (WHS) responsibilities at each level of the workplace and a practical understanding of how to fulfil your duty of care responsibilities. This course will provide you with an understanding of how to fulfil your duty of care to help maintain the health and safety of the workplace. This module will help you to understand how to provide good nutrition for young children, and how to teach children about good food choices. This module has been developed to provide educators with an understanding of what 'sustainability' really means and how they can build the sustainability of their early childhood education and care service in meaningful ways. This module has been developed to provide an understanding of the role of the physical environment in children's learning and how you can create effective indoor learning spaces for young children. This course will provide you with the theoretical knowledge and understanding of emergency procedures required to perform CPR. Please note: To get qualified, you must complete a practical session after successfully completing this online component. Follow the steps below. CALL 1300 367 428 to BOOK into a practical session for the online learning you wish to do. PAY for the complete course by clicking Buy above. Your login will be sent via email. Take your Certificate of Completion to your practical session. Please note this course contains flash content and is not currently compatible with iPads. If accessing this course via PC please ensure you have the flash plugin installed. Click System Requirements in the Help & Support section to check your system. In this course you will learn the fundamental principles and theoretical knowledge to enable you to provide emergency care for injuries and illnesses that may occur in a school, early years or care setting. This is an introductory module to the National Quality Framework. The National Quality Framework has many aspects and it will take more than one professional learning session to fully understand. With that in mind it is helpful to think of this module as introduction and starting point. This module will help educators to support children in learning about maths and developing numeracy skills. Music has long been regarded as an important part of early childhood education. In this module, explore music as an integral and vibrant part of a child's family, community and culture, and how it can be utilised as a powerful tool for learning and development. This course has been developed to provide an understanding of the Privacy Act 1988 (Cth) and how to apply it within organisations. This course reflects the amendments to the legislation as in force on 12 March 2014. 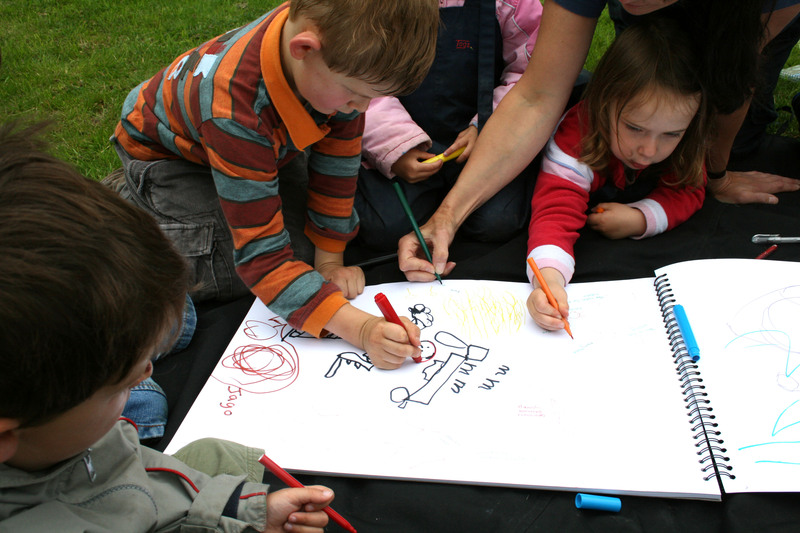 This module has been developed to explore the importance of outdoor environments for children's learning, and to show how educators can plan and use outdoor spaces with children. This module explores ways for educators to build and strengthen partnerships with the communities in which they work and live. This module explores how partnerships with families and caregivers underpin young children's inclusion, learning and development, and explores the benefits of partnerships to enable inclusion. This module explores how improved outcomes for children with developmental delay, disability or additional and complex needs can be achieved when early years professionals deliberately and strategically work in partnership with one another. This on-demand webinar is a panel discussion providing an opportunity to learn what leadership approaches and strategies enable professional practice in long day care. This module is the first in a two-part series to help you build your knowledge about Aboriginal and Torres Strait Islander peoples and cultures, to support Reconciliation in early childhood. This module is the second in a two-part series to help you build your knowledge about Aboriginal and Torres Strait Islander peoples and cultures, to support Reconciliation in early childhood. This module will introduce you to ways of seeing and using routines and transitions to highlight their enormous potential for learning and enrichment. In this module, we will be exploring what STEM is and how integrating the curriculum areas of Science, Technology, Engineering and Mathematics can enable opportunities for rich learning. Awe, wonder, child-led, inquiry, play, play-based, Ann, Pelo. This module will help educators to support child-led inquiry, and to understand the importance of awe and wonder in sustaining a love of learning. This module will help educators to work with children on how to manage their own attention, emotion, thinking, and behaviour. The module focuses on children aged 3-5 years. This module has been developed to explain how very young children (up to 3 years) learn to regulate their emotions and behaviour, and how educators can support them in this important area of development and learning. This module explores current theories of language learning and provides practical examples of ways educators can support young children's language development. This module will help to build educators' skills and confidence in using IT tools with young children. explore the characteristics of play and the role of play in early childhood and school settings. This course has been developed to provide early childhood educators with an opportunity to consider why children on the autism spectrum may display challenging behaviour and how best to support them. This module introduces the richness and diversity of Aboriginal and Torres Strait Islander art. We explore ways educators and young children can approach art appreciation and art-making inspired by Aboriginal and Torres Strait Islander art. We also look at some specific art works and the contemporary artists behind them. This module explains how critical reflection forms a crucial part of professional practice in early childhood education and care, and provides a model and suggestions for how to make critical reflection a positive part of everyday practice. Using beautiful video footage, this module explores the fundamental role of visual arts and creativity in children's learning, and helps educators to find their own creativity. Featuring extensive questions to prompt self-reflection, inspiration and renewal in your service. The module has been adapted from an early childhood resource A Walk in the Park, by two Australian early childhood professionals. The module includes written information, examples, reflective questions and images and is suitable for educators at all stages of their careers. This webinar examines what makes a successful learning environment, how this can capture the image of childhood and how educators can create spaces that shape the behaviour of children and adults. The ECA Code of Ethics provides a guide to assist professionals to make wise decision that build relationships and promote our shared values. This on-demand webinar introduces the ECA Code of Ethics and discuss how educators might use the Code to support their everyday decision making. This webinar provides an overview of the key changes to the National Quality Framework (NQF), how these changes will affect Early Childhood Education and Care services, and the resources and support available to educators. This webinar takes a look at what play-based learning looks like when we use tablets and technology in early learning environments. Presenter Daniel Donahoo shares his practice stories and approaches, aligned to research and the early years learning framework, to help you to see the many ways technology can augment, and enhance and enrich children's play and learning. By the end of the session you will have concrete ideas about how you can use that tablet, projector or phone in your work to engage purposefully with the individual learning needs of children in your service. In this webinar, Dr Sue Elliott examines what sustainability looks like within early childhood, and what educators can do to facilitate change within their early childhood services. This webinar explores the five steps of emotion coaching: emotional awareness, connecting, listening, naming emotions and finding good solutions. Anne Stonehouse AM and Michelle Gujer explore the methods in which educators can create a thriving culture of learning within their settings to support good practice, and provide best outcomes for children. This webinar thinks critically about quality in early childhood education and care and explores how to develop, lead and maintain quality and share this with children, families and educators. Play-based learning is a cornerstone of early childhood education. In recent years the concept of intentional teaching has also become important in early childhood education. This webinar discusses a new approach to balancing open-ended play with intentional teaching using the Pedagogical Play-framework. The Pedagogical Play-framework argues that three main types of play-based learning, including open-ended, modelled and purposefully-planned play can be used by children in multiple combinations to support young children's learning. Rod Soper explores and the development, implementation and findings of the Playing with Gratitude Project and the role mental health has in children's learning and development. STEM, or STE(A)M, initiatives are a global focus in all education sectors at the moment, but what does STEM really mean in the Early Years? Join Anita L'Enfant for a practical look at STEM in your centre. What does privacy look like in children's services - and how can educators ensure they're not in breach of The Privacy Act (1988) (the Act)? This on-demand webinar examines through case studies, aspects of the Act, including The Notifiable Data Breaches scheme, as well as ways to maintain privacy and what is defined as sensitive information. This webinar examines practical safe sleeping strategies for settling multiple children in Early Childhood Education and Care settings. It will examine many methods of settling groups of babies or children, as well as ways to discuss and work collaboratively with parents and caregivers to support a child in sleep. Technology is constantly changing and these changes bring a concern for the wellbeing of young children when accessing digital technology. In the 2017 Live Wires International Keynote Address, Professor Lydia Plowman addresses the myths and the realities of technology usage by young children, both within an early childhood setting and the home. This webinar examines importance of STEM learning in early childhood. We look at what it looks like to be intentional when it comes to STEM, finding the hidden gems in everyday play. This webinar explores the topic of childhood bilingualism and how Early Childhood Educators can support bilingual children to develop their language and communication skills during the early years. This webinar also looks at supporting the bilingual educator, as well as sharing language and culture with young children and their families. Rod Soper presents this inspiring rediscovery of the Planning Cycle and challenges us to consider how we can use the Planning Cycle to reinvigorate not only our thinking, but how we approach children's learning and development. This webinar looks at where to start when using AEDC (Australian Early Development Census) data in your Early Childhood Education and Care setting. what it looks like to consider ethics in our everyday practice with children.